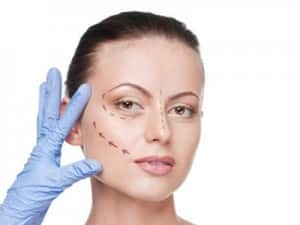 Cosmetic surgery is often undertaken as an elective procedure for people to enhance their body or help in the recovery of their appearance following other operations or conditions. With cosmetic surgery sometimes costing several thousands of pounds, it is not surprising that patients expect high quality and care when undergoing such procedures. Unfortunately, this is not always received and in some instances, cosmetic surgeons and other related staff do not observe their legal duty of care owed to patients. This can lead to varying degrees of illness and injuries suffered by claimants, and in the most severe cases can have a fatal outcome. When medical professionals breach their duty of care, the results and implications can be severe. Patients may suffer from physical, emotional and financial difficulties following errors in their cosmetic surgery. If you believe that you are at a loss in any of these areas because of the fault of another party, contact us to discuss how we can assist you in obtaining the compensation that you rightly deserve. Am I eligible to make a cosmetic surgery claim? We have successfully handled claims on behalf of people who have suffered injuries and harm due to cosmetic surgery negligence. Some claimants aim to recover the costs of further surgery to rectify errors caused by medical negligence, and our solicitors can offer advice on how to obtain compensation for this too. If you believe that you have suffered an illness, injury, damage or loss because of errors in your cosmetic surgery and the service that you received from the health practitioners involved, contact us to discuss your eligibility to make a claim. We will assess your circumstances in a free initial consultation and offer advice as to the processes involved and how much you are likely to receive as a settlement award. To make a successful claim for compensation, the solicitor will need to prove the liability of your illness or injury as well as the severity of your condition and the impact that symptoms have or will have on your life. The more extreme these factors are, the higher the compensation amount will be. It is therefore important for the solicitor to gather as much evidence and information relating to your case and condition as possible. When we initially meet with you to discuss your case, we will offer you a free, no-obligation consultation. This is an opportunity for both our solicitor and yourself to ask questions about the case and evaluate the severity of your condition. Once the solicitor has a good understanding of your individual circumstances, they will be well placed to offer you a realistic estimate of the likely compensation figure that you will be awarded. The amount of time that it takes to process your claim will depend upon the complexity of your case. Some claims can be processed very quickly, where liability is clear and diagnosis is simple. However, in some instances, it becomes more difficult to establish that your cosmetic surgeon was responsible for your illness and injury, and so your solicitor may have to work longer to prove liability. In order to support your solicitor in building a strong case and reaching a successful outcome as early as possible, it is beneficial to provide as much information and supporting evidence as you can. This will inevitably help the solicitor to build a strong case and seek the maximum compensation possible on your behalf. Are there any upfront costs that I will have to pay? We believe that it is unreasonable to expect clients to make any upfront payments for our advice and services when they are seeking compensation for an illness or injury that was caused by another party. We believe that it is thoroughly unjust to expect clients to be at a financial loss on top of the preexisting concerns relating to the condition. With that in mind, we are pleased to offer clients the ability to utilise our services on a no win, no fee basis. This means that no upfront costs will be requested, and we will only seek payment upon successful completion of your case. If we are unsuccessful in securing your compensation, you will not have to pay us a penny.